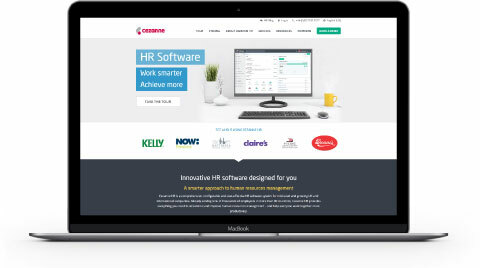 Cezanne is an innovative HR management software. The platform enables organisations to effectively manage all things HR as well as plan for the future. This simple and scalable human resources software has built a user base of large organisations that trust and favour the platform for its quality and usability. Cezanne wanted Bulldog Digital Media to improve their online presence and drive new levels of valuable traffic to their website. Increasing online presence is one thing, but making your brand stand-out in a highly saturated market is something else. Cezanne wasn't getting enough traffic to their site, they were being out-ranked by competitors, and we needed to do a lot of work to bring their pay-per-click campaigns up to the mark with maximum performance efficiency. Our solution for Cezanne included a multi-channel strategy that included SEO, PPC and content marketing. We had to make sure that their organic rankings were on the rise, with the competitive companies around them we decided to create relevant and popular infographics to boost the number of links to their site. A keyword strategy was also thought-out to ensure we were improving all high-volume keywords. Our PPC experts analysed Cezanne’s PPC campaign, planned out a strategy that included split testing ad copy, trialling new keywords, cancelling out negative keywords and optimising long-tail keywords. We built a multi-channel strategy that would bring a major boost to all aspects of Cezanne's online presence. We worked on their SEO, PPC and content marketing techniques to raise awareness, grab hold of new traffic and draw maximum returns from their digital marketing investments. With the amount of competitive companies crowding the space, we decided to create catchy infographics to bring a major boost to the number of links being produced to their site. With an effective keyword strategy, we bought a significant improvement to the quality of traffic drawn to the site from search while also targeting high-volume keywords for mega spikes in traffic volume. Our most experienced PPC experts went over Cezanne’s PPC campaigns. We reworked content with split testing, identified trialling new keywords, cancelled out negative keywords and optimised long-tail keywords. As we completed the techniques mentioned above, we followed up with regular reporting of our consistent progress. At Bulldog, we like to keep clients involved and aware of our work to ensure we can make any necessary changes to the campaign as needed. Every brand is different and we fully appreciate how important it is to ensure that every strategy we work on is tailored to meet individual needs.